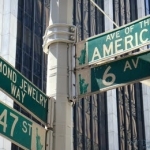 We are located in midtown Manhattan in NYC's Diamond District and are open 6 days a week. Monday - Friday from 10am-6pm and on Saturday's from 1pm-5pm. We are located at 30 West 47th St. Suite #811 New York, NY 10036 and can be reached at 646-904-8898. 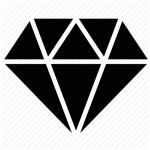 We have a private location on the 8th floor that is safe and discrete and can pay as much possible for your jewelry. We specialize in buying gold, but also buy silver and platinum as well as fine diamonds, watches, coins and antique and estate jewelry. We can also provide a loan if the item is of sentimental value so instead of selling your gold, get the money you need and your gold back after you pay the loan back. A win-win situation.